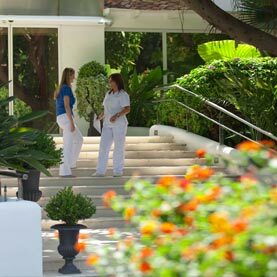 HC Marbella is the leading international hospital in the Costa del Sol. We strive to offer excellent service and quality medicine to patients from around the world. The city of Marbella is open to the world, and any person can choose to receive medical treatment at our Hospital and have our specialists treat their disorder. Our care is accessible no matter where you are in the world. 75% of our patients come from outside Spain, which means we have extensive experience with international patients.